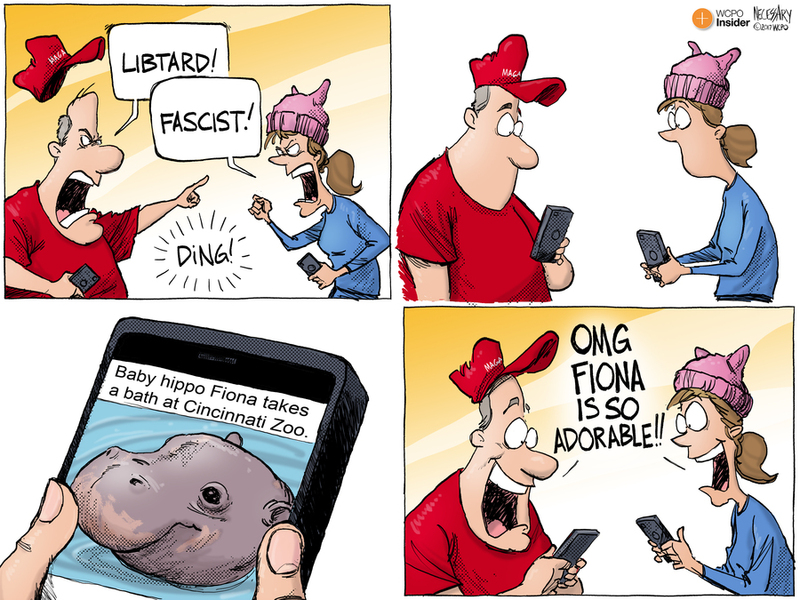 As we end say adios to another year, let's take a look back at some of my favorite cartoons from 2017. As soon as Donald Trump was sworn in as the 45th president we began dealing with his and his administration's "alternative facts." Trump and friends, such as Sean Spicer, claimed his inauguration was one of the largest in history, despite photos, personal accounts and, well, all the empirical evidence in the world. But these claims were just the start to the assault on facts we've dealt with all year. Cities across the United States proclaimed themselves as "sanctuary cities" — havens for undocumented immigrants and political statements against Trump's policies on immigration. Mayor John Cranley and Cincinnati followed suit, stating publicly that Cincinnati was a sanctuary city. But there were hitches to the mayor's statement. 2017 was a rough year, and the polarization of American society isn't going to get any better. 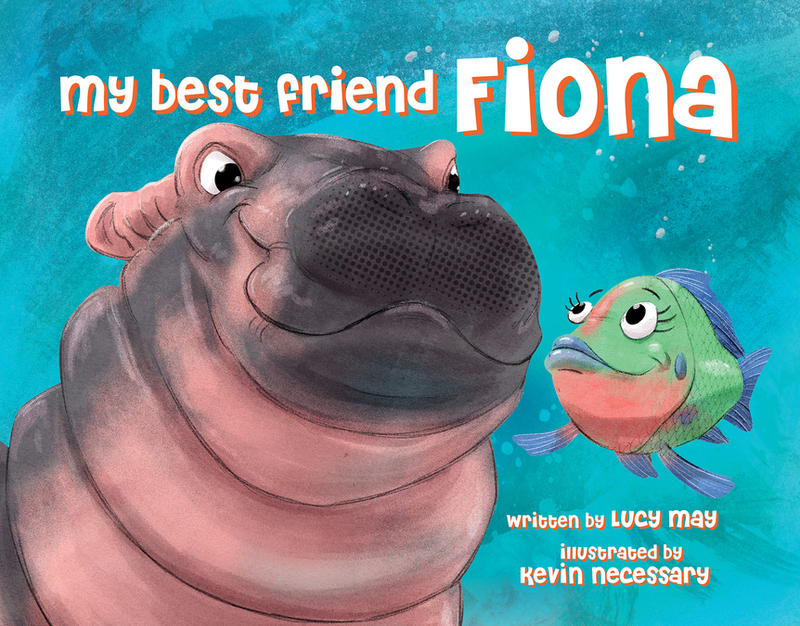 One thing we can all agree on, no matter our political affiliations, is that Fiona, our bundle of hippo happiness at the Cincinnati Zoo and Botanical Garden, is just about the best darn thing on the planet. Maribel Trujillo was a mother of four who had been living in Fairfield. She was also an undocumented immigrant who'd fled Mexico to escape from drug cartel violence. She had been known to immigration officials for a decade, and would regularly check in with officials. This April, after a routine check-in, she was detained, separated from her children. 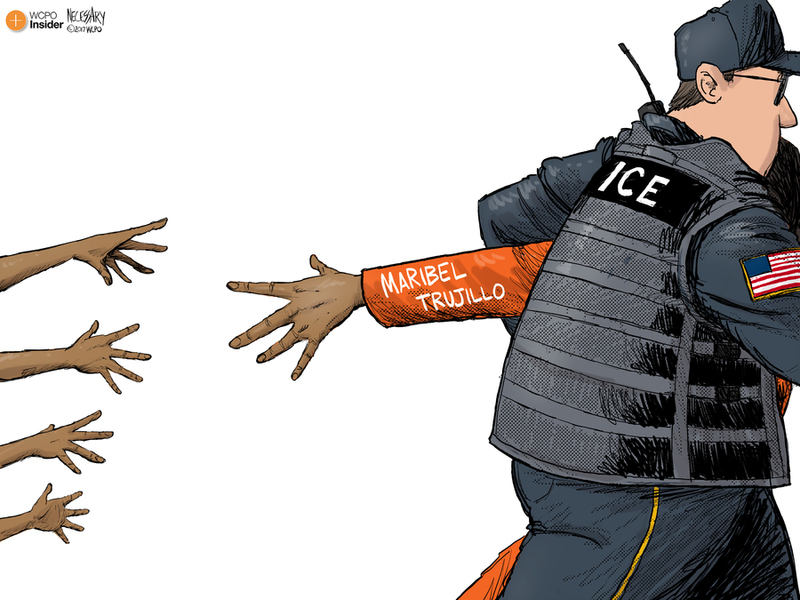 Despite pleas from religious leaders that the government was breaking up a family, Trujillo was deported back to Mexico. The Banks have been one of the largest ongoing projects in the revitalization of Cincinnati's urban core. But reporters Amanda Seitz and Paula Christian discovered that the steering committee which controls the development of the Banks was shrouded in secrecy, and that the group hadn't met in years. In a year when hacking and information leaks were making headlines, it was weird that no one in town knew what was going on with one of the city's largest developments. Cincinnati ends 2017 waiting to hear if FC Cincinnati will be ushered in to Major League Soccer. One of the conditions to FC Cincinnati getting in was that it needed to have its own stadium. FC Cincinnati leadership is putting up $200 million for a stadium, but they're asking for an additional $75 million in public money. With the 1996 stadium tax still a festering wound, the Hamilton County commissioners haven't been all that keen to fork over public cash. Mayor Cranley has committed city money, but even that's a bit fuzzy. 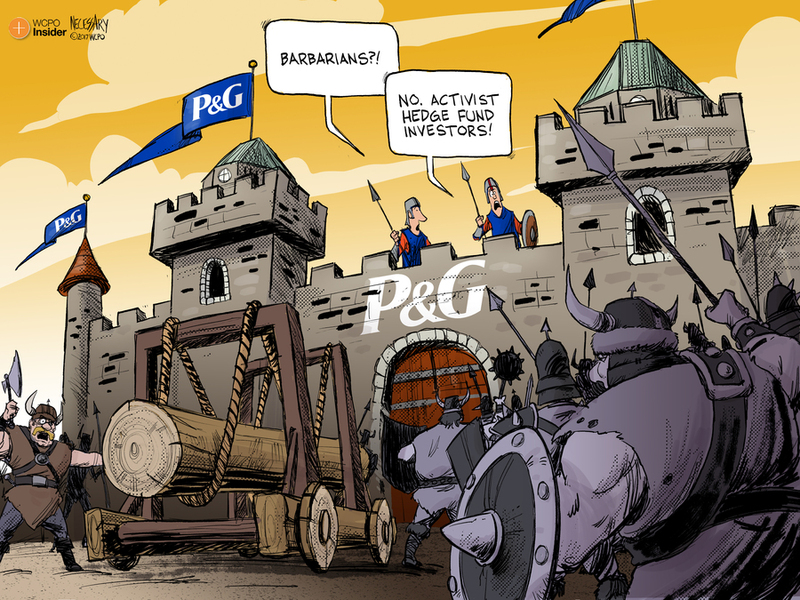 Procter & Gamble is under attack ... from hedge fund investors! The venerable Cincinnati company has seen its profits shrink in recent years, and some investors are getting antsy. Activist investor Nelson Peltz launched an aggressive bid to become a member of the company's board of directors. After an apparent defeat, Peltz was finally named to the board. 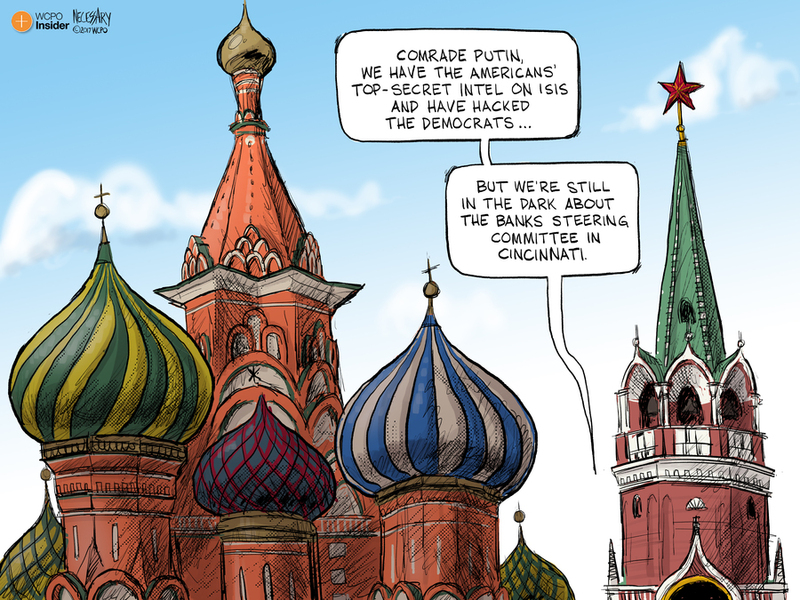 This cartoon has the distinction of having been part of Peltz's complaint to the Securities and Exchange Commission. 2017 was the #MeToo year. From Washington to Hollywood, victims of sexual abuse came forward to tell their stories. Before we hear stories about former Alabama Senate candidate Roy Moore's alleged relationships with minors, there was the bombshell allegation from a woman who claimed she dated Pete Rose while she was underage. 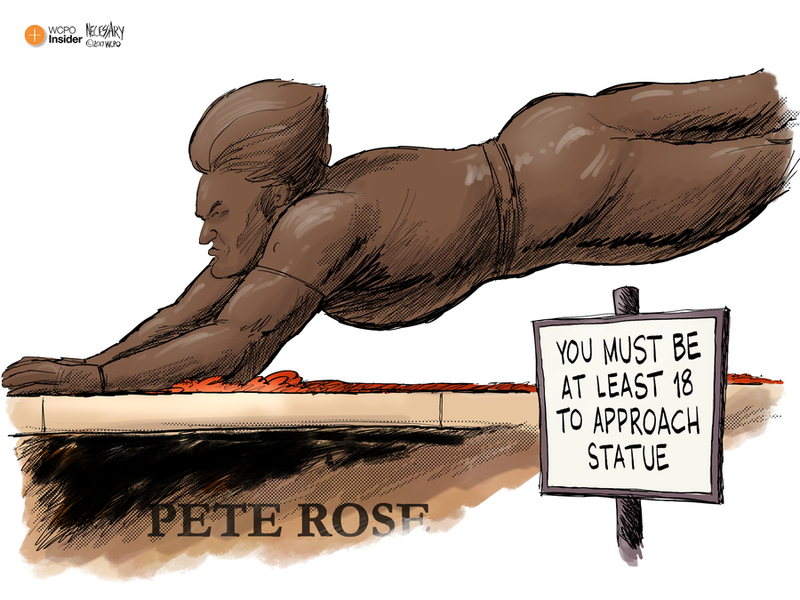 This came shortly after the Reds inducted Rose into the Reds Hall of Fame, and unveiled his statue outside Great American Ball Park. 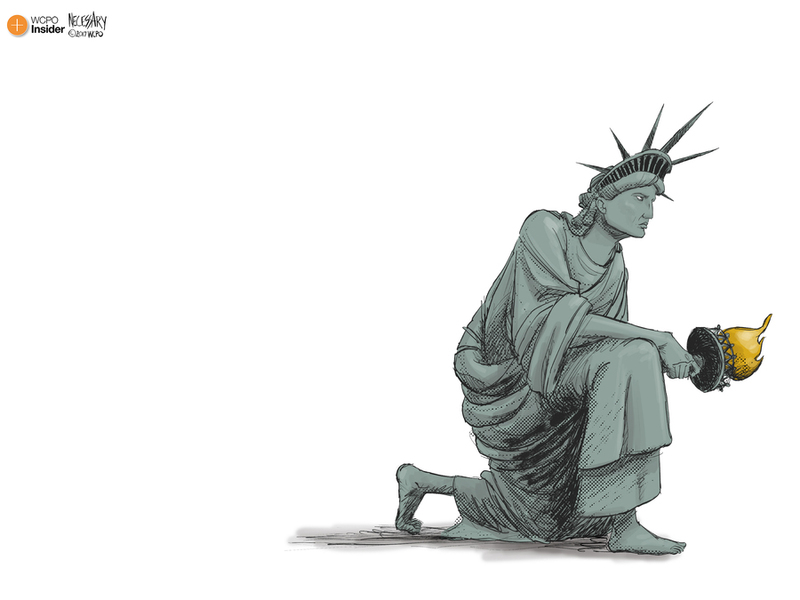 Former San Francisco 49ers quaterback Colin Kaepernick became a national figure by kneeling during the national anthem to protest police violence against blacks. Donald Trump took the issue to Twitter in 2017, saying NFL owners should fire players who don't stand for the anthem. But hundreds of players defied the president in a day of solidarity, kneeling, praying, or otherwise not taking to the field during the anthem. One person, even if he's in the Oval Office, cannot tell others what they can or cannot say. 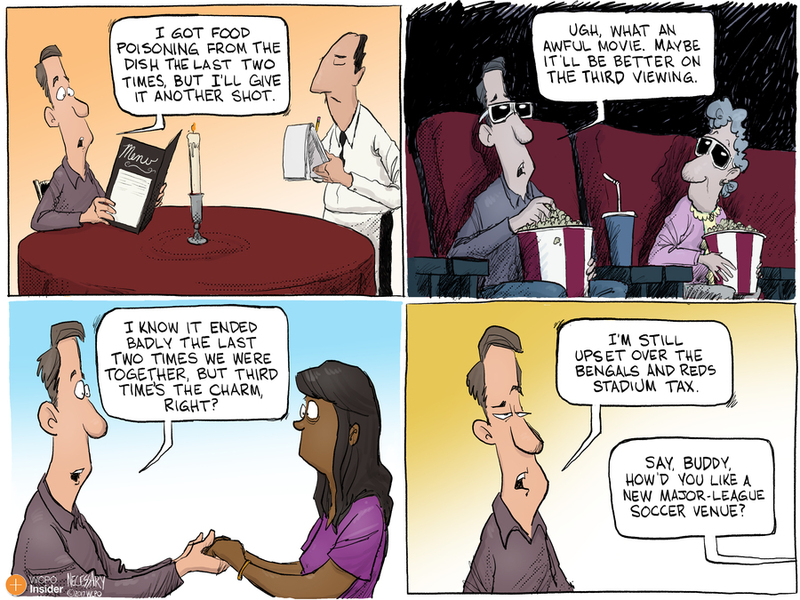 While I still drew a lot of editorial cartoons in 2017, I also worked on several large projects that took me away from the toons. 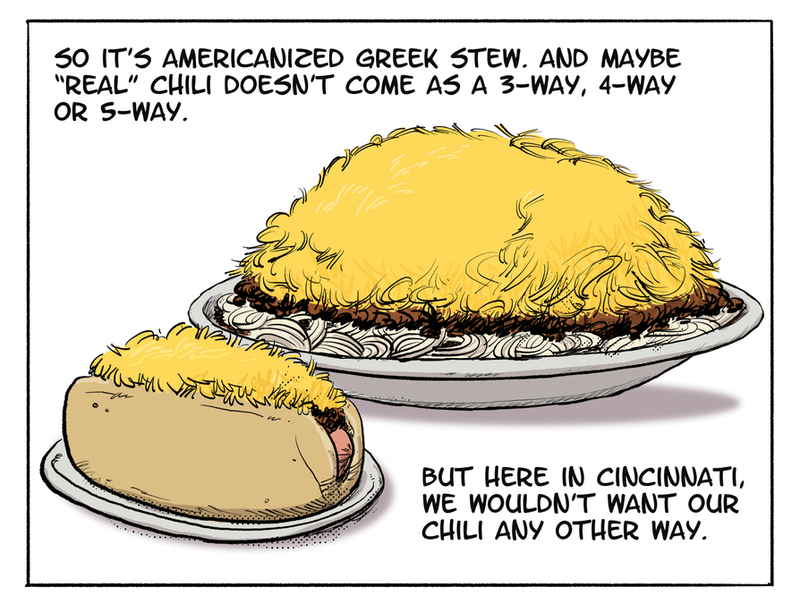 While I don't think anything can top our book, My Best Friend Fiona, I'd be remiss if I didn't highlight my comic about the history of Cincinnati Chili . I love telling stories through comics, and I have plenty more comics journalism pieces planned for 2018. 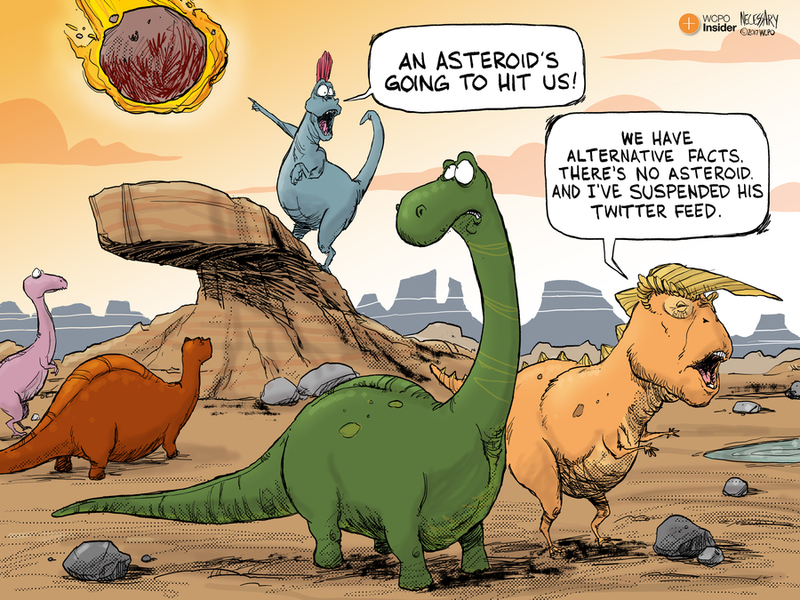 Kevin Necessary is the editorial cartoonist for WCPO. His opinions do not reflect those of WCPO.